Still doing the Medi-Cal Long Term Care Form in a TYPEWRITER ?? Having to start over each time you do a claim on the same patient? Medi-Cal Long Term Care Payment Request Form Filler presents you with a series of fields on your screen corresponding to each of the boxes on the Medi-Cal Long Term Care Payment Request form. Each location includes a prompt informing you of the appropriate content. You just type in the data and hit the tab key to move to the next field. 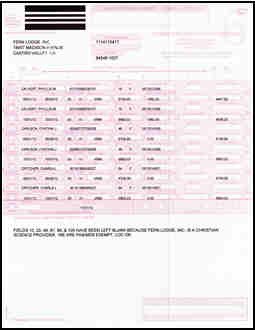 When complete, save the form and print it onto a Payment Request form in your printer. Each form can be individually saved and used again quickly by just changing dates of services, dollar amounts, etc. Program requires Microsoft Windows and Microsoft Word. Complete the form, print it and send it to us with payment (checks only).